Since 2007, the University of Iowa has actively recruited international students and the results are reflected most dramatically in the growth of the undergraduate population from the People’s Republic of China. Of more than 4,000 international students at Iowa in the fall of 2013, mainland Chinese accounting for 2,266, including 1,430 undergraduates; and the university expects more than 500 Chinese students will arrive as freshmen this fall. This growing international presence on campus is heralded as promoting values of diversity, tolerance and global understanding, but as with all change, its opportunities are welcomed and built upon in some quarters and missed or misunderstood in others. Judy Polumbaum will attempt to place these developments in historical context and examine Iowa’s experience in terms of current national and international trends. 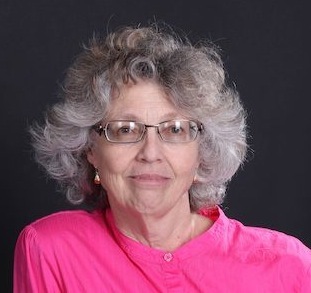 Judy Polumbaum did her undergraduate work in East Asian studies at McGill University in Montreal, Canada and has a Master’s from Columbia University Graduate School of Journalism and a Doctorate in Communication from Stanford University. She joined the Iowa faculty in 1989. She is an affiliated faculty member in a number of international and interdisciplinary programs, including the Center for Asian and Pacific Studies and International Studies. Her most recent publications include the book China Ink: The Changing Face of Chinese Journalism (Rowman & Littlefield, 2008), based on interviews with twenty young Chinese journalists.